Fine decorative plaster cornice. Backing coat complete. 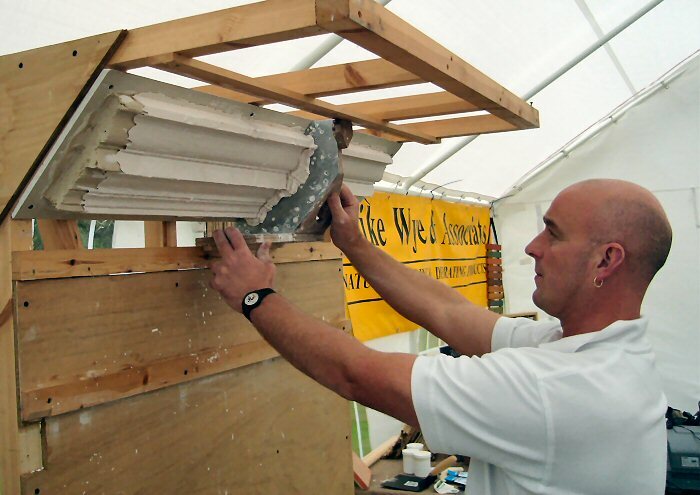 This shows a close-up of the backing plaster and the profile tool used to create the shape of the cornice.